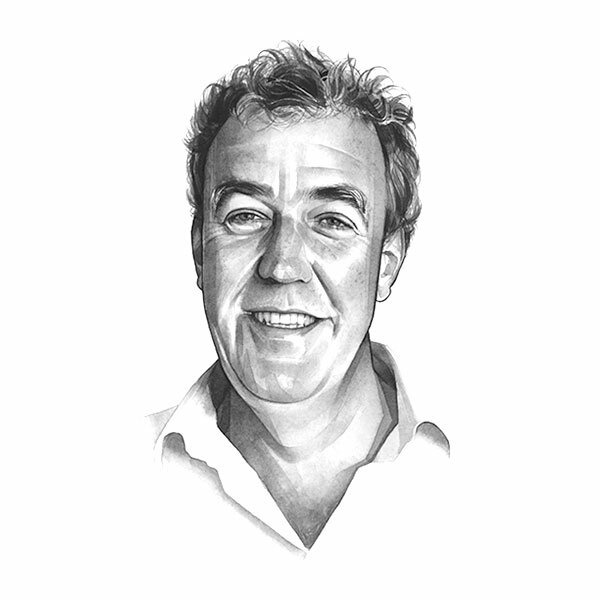 IN ONE of the Grand Tour television programmes I have a bit of a rant, saying that the world’s car makers seem to have shifted into neutral and to be simply biding their time making dreary boxes until they are consumed by Uber. I single out the Renault Kadjar SUV, which I hate very much, and I say that it will never be a poster on a young boy’s bedroom wall and that no one will ever dream of the day they can buy one. I argue loudly that it is just some car, on which Renault can make a couple of quid from the finance deals. I fear, however, I may have been a trifle hasty, because I’ve come to realise car makers are swimming against a tide that will eventually consume them, no matter what rabbits they pull from the hat. There have always been people who say, “I’m not interested in cars”, but today it’s not just the occasional old lady with a twin set, pearls and a Mrs Queen haircut. It’s pretty much everyone, especially if they are under 25. I actually know a proctologist, and I’ve never heard anyone say to him: “We don’t want to talk about anuses.” Which has led me to believe that today people are more interested in rectums than they are in the new Ferrari GTC4Lusso. I can see why. For 20 years they have been brainwashed by the liberal elite — the people who are now getting their arses kicked in every single election — that cars are bad for the environment and if we keep on using them to go to work and the shops, Planet Earth III will have to be about wasps and cockroaches because everything else will be extinct. The constant drip-feed of eco-mental nonsense affects politicians especially. They respond by worrying about the constituent parts of the upper atmosphere and think they can sort everything out if they reduce speed limits. And then reduce them again and then stick up average-speed cameras to ensure the limits are obeyed. Then they dig up the roads for years so they can be made narrower, and they put in speed humps and cycle lanes, and another speed camera just for good measure. The effect has been profound. When I was growing up, I dreamt of the open road, because we had such a thing back then. Cars were something you could barely afford, but, boy, they were worth it because they represented freedom and glamour and excitement. They were something you needed, for sure. But they were something you wanted as well. It’s a good point, and that’s before we get to Uber, which has realised that we don’t need a car. But that we do need one at 4.15am on Tuesday. People have started to realise that for 90% of the time their car just sits on the street doing nothing except costing money. So why not get rid of it and use a man in a Toyota Prius for the 10% of the time when they need to go somewhere? Now, I know I reviewed a Honda only last week, but I then drove the car pictured here and realised it quite neatly sums up my point. A number of years ago Honda made a car called the Civic Type R that revved as if it were running on nitrous, handled as though its tyres were made from glue and roared and snarled as if it were very angry about something. To this day that car is revered in some quarters as a deity. But then, one day, Honda pulled the plug and decided to make cars exclusively for pensioners and Americans, which are the same thing. Now, though, the Type R is back, and as you can see in the picture, it’s no shrinking violet. Nor does it follow the age-old hot-hatchback recipe of taking one ordinary cooking car and adding a bigger engine and bucket seats. It’s way more complicated than that. It’s so complicated, in fact, that really it isn’t a Civic at all. The rear suspension is different, and at the front it has a system like that of no other car at all. It’s slightly similar to the RevoKnuckle arrangement on a Ford Focus RS, but better, apparently. Cleverer. More able to deal with sudden gobs of torque from the engine. Which is necessary, because the engine in the old Civic Type R produced almost 200bhp. In the latest one you get a colossal 306bhp. That’s 306 brake horsepower from a 2-litre engine. And you get 150 more torques. Crikey. Ten years ago you could have driven this car down the street, and young boys would have jumped up and down and grabbed at their tinkles. Youths would have swooned. Dads would have become wistful. Not any more. Now, pretty much everyone stands with their hands on their hips and slowly shakes their heads. It’s the look you give a naughty dog. So you need thick skin to drive a Type R. But is it worth it? Hmmm. Not sure. The engine, though undoubtedly powerful, lacks much in the way of aural excitement and is patchy in the way it delivers the grunt. Honda is a newcomer to turbocharging and it sort of shows. And the chassis is so good, it makes the car feel a little bit dull. A hot hatch should put a smile on your face. It should be like a puppy. This feels a bit serious. Of course, if you are a serious helmsman, you will admire its ability to grip and go. And you’ll love the lap times it can produce at a track. But if you are a serious helmsman, why would you buy a car with front-wheel drive? And whoever you are, you will certainly tire very quickly of getting out of the seat when you reach journey’s end. The bucket is so pronounced and the side bolsters so high, it’s nigh-on impossible. I also found the interior a bit clever-clever. Overall, then, it’s not Honda’s best effort. But that’s OK, because the company has already announced that next year it will replace the car with a new Type R.
I’m glad that Honda is still trying. But I fear it is chasing a market that doesn’t really exist any more.